came from a birthday celebration for my cousin Shirley, who is a former nun. Sitting in the sunshine, drinking wine and laughing with Shirley and her friends, I suddenly realized I was the only woman there who'd never been a nun. Almost thirty years ago Shirley was a Sister of the Presentation of the Blessed Virgin Mary. She made the difficult decision to leave the order and underwent the transition from religious to secular life. Shirley inspired me, as did her friends; they showed such courage, facing the world after all those years behind convent doors. Like Shirley, I was raised Catholic and attended twelve years of parochial school. My best friend in high school, Jane Berghoff, entered the convent, with dreams of nursing the sick in India. After three years she, too, made the decision to leave. For a time, I'd also considered the idea of becoming a nunâbut I discovered boys, and my interest in the religious life was soon a distant memory. And now, dear readerâthanks to Shirley's birthday partyâyou'll meet three special women who respond to the call. For the sake of their vocations, Angelina, Kathleen and Joanna each abandon the lives they'd led. Later, after Vatican II and the radical changes within the Church, their safe and secure world starts to fray, bit by bit. And then many of their traditions disappearâthe habits, the new names they've taken, the routines they've become accustomed to. I am indebted to Shirley Adler, Sheila Sutherland, Jane McMahon, Diane DeGooyer, Theresa Scott, Mary Giles Mailhot, OSB, and Laura Swan, OSB, for their assistance. I hope you enjoy Angelina's, Kathleen's and Joanna's stories. I love hearing from my readers. Feel free to write me at P.O. 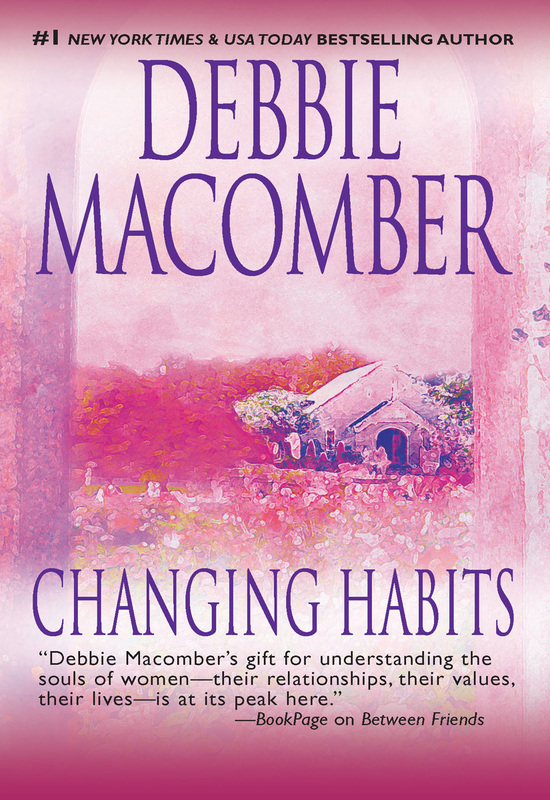 Box 1458, Port Orchard, WA 98366, or visit my Web site at www.debbiemacomber.com. athleen waited in the cold rain of a Seattle winter as her brother placed her suitcase in the trunk of his car. She felt as awkward and disoriented as she probably looked, standing there in her unfashionable wool coat and clumsy black shoes. For the last ten years she'd been Sister Kathleen, high school teacher and part-time bookkeeper for St. Peter's parish in Minneapolis. Her identity had been defined by her vocation. Now she was simply Kathleen. And all she'd managed to accumulate in her years of service was one flimsy suitcase and a wounded heart. She had no savings, no prospects and no home. For the first time in her life, she was completely on her own. “I'll do whatever I can to help you,” Sean said, opening the car door for her. “You already have.” Tears stung her eyes as her brother backed out of his driveway. She'd spent the last two months living at his house, a small brick bungalow in this quiet neighborhood. “I can't thank you enough,” she whispered, not wanting him to hear the emotion in her voice. go home? She wasn't a teenager who'd been away at school, a girl who could easily slip back into her childhood life. “They'd never think of you as a burden, if that's what you're worried about,” her brother said. Perhaps not, but Kathleen was a disappointment to her family and she knew it. She didn't have the emotional strength to answer her parents' questions. Dealing with her new life was complicated enough. “You're going to be all right,” Sean assured her. “I know.” But Kathleen didn't entirely believe it. The world outside the convent was a frightening place. She didn't know what to expect or how to cope with all the changes that were hurtling toward her. “Thank you.” She swallowed hard. Ten minutes later, Sean pulled up in front of the House of Peace, a home run by former nuns who helped others make the often-difficult transition from religious to secular life. Kathleen stared at the large two-story white house. There was a trimmed laurel hedge on either side of the narrow walkway that led to the porch. She saw the welcoming glow of lamplight in the windows, dispersing a little of the day's gloom. Still, she missed the order and ritual of her life. There was a certain comfort she hadn't appreciated: rising, praying and eating, all in perfect synchronization with the day before. Freedom, unfamiliar as it was, felt frightening. Confusing. With her brother at her side, Kathleen walked up the steps, held her breath and then, after a long moment, pressed the doorbell. Someone must have been on the other side waiting, because it opened immediately. Kathleen felt warmed by Kay's smile. “Come in, come in.” The other woman held open the door for them. Sean hesitated as he set down Kathleen's suitcase. “I should be getting back home.” His eyes questioned her, as if he was unsure about leaving his sister at this stranger's house. “I'll be fine,” she told him, and in that instant she knew it was true.